How Old Can A Mortgage or Deed of Trust be and still be Enforced in California? The MRTA Provides An Answer. The Marketable Record Title Act (MRTA, Civil Code section 882.02+) was enacted so that ‘ancient mortgages’ would not last forever. Prior to the act, lost or forgotten mortgages and deeds of trust would continue to be a cloud on title. The MRTA became law in 1982 to put an outside limit on the number of years that the power of sale in a deed of trust may be executed. The MRTA provides that if the “evidence of indebtedness” recorded with the county recorder contains a reference to the maturity date of the secured debt, the right to foreclose by private trustee’s sale will expire 10 years after maturity. If no date of maturity is provided, the limit is 60 years after recordation of the deed of trust. The trustee’s deed must be recorded before the time is up. The limit to conduct a judicial foreclosure, however, is much different. Civil Code section 2911 provides that a lien is extinguished by the lapse of time within which, under the provisions of the Code of Civil Procedure, an action can be brought upon the principal obligation. Generally, this means four years after maturity or breach of a written note. The beneficiary can extend the time by recording a “notice of intent to preserve interests” prior to the expiration of the prescribed time period. If this notice is timely recorded, the period is extended until 10 years after the notice is recorded. Civil Code section 880.310(a), 880.020(a)(3). If one has a concern about the limitations of their deed of trust, they should consult a Sacramento and Yolo county real estate attorney. Prior to a 2006 amendment, the statute required the maturity date be “ascertainable from the record…”. This resulted in an issue which had been raised several times, and courts have had varying opinions about, namely, what happens if a Notice of Default is recorded? One decision found that this triggered the 10 year statute. Another court has said it did not. A third decision, from the Third District Court of Appeal (which includes the greater Sacramento area), found that it did not trigger the 10 year statute. The statute was amended in 2006 to resolve this issue, essentially providing that a Notice of Default does NOT trigger the limit. The discussion which follows concerns the 3rd District decision, and why interpreting the older language to allow the NOD to trigger the limit would be preposterous. 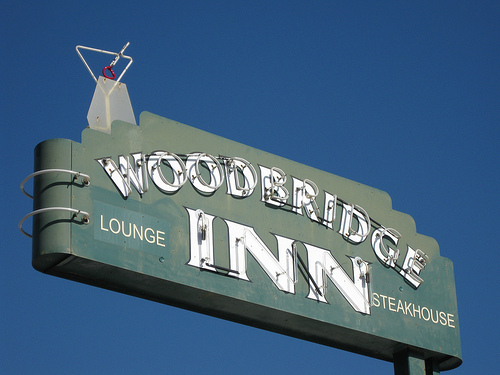 In Nancy Schmidli v. Rodney Pearce, a deed of trust was recorded against property in Woodbridge in 1986. 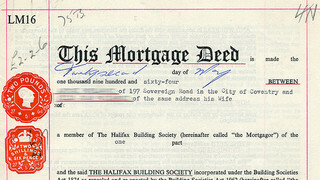 The deed of trust did not specify the maturity date, nor include a copy of the note. A notice of default was recorded 1994, but no other action to foreclose was taken. In 2006, more than 12 years after the Notice of Default was recorded, the owner of the property filed a quiet title action to get rid of the deed of rust, saying that the notice of default trigger the ten year statute. The court concluded that, if the notice of default triggered the 10 year rule, it would render the 60 year rule superfluous and creates a “catch-22” for any lender who recorded the deed of trust with the intent of availing itself of the 60-year statute of limitation. A beneficiary who is otherwise entitled to 60 years, but does not begin nonjudicial foreclosure within the first 10 years, will be entitled to the remaining years only until the beneficiary files the required notice of default. Instantly the beneficiary will retroactively be entitled to only 10 years, all of which has by definition elapsed. So he loses all enforcement rights.